The third volcano to erupt since the mag 7.4 and tsunami devasted Indonesia is causing concern to officials. 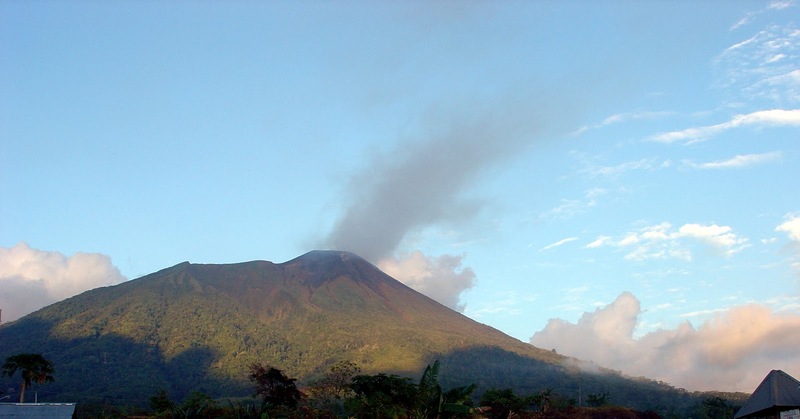 The Volcanology and Geological Hazard Mitigation Center (PVMBG) has raised the status for Mount Gamalama in North Maluku to caution - the second in the four-level national volcano alert system - on Thursday following an eruption at 11:52 a.m. local time. Mount Soputan volcano erupted on the same island as the M7.4 quake and deadly tsunami which has left 1,600 dead from the tsunami and a further 2,000 dead from landslides just hours after the quake. The vast volcano, known as the Son of Krakatoa, is also spewing lava into the air as the region is hit by another natural disaster. Indonesia is located in the Ring of Fire region, one of the worst affected areas by earthquakes and volcano activity in the world.